This course gives you a firm understanding of key business functions and the basic principles of accounting and finance. You’ll learn about corporate reporting, auditing, corporate law and strategic management accounting, as well as develop your general business and commercial awareness. You’ll study and research the key areas of financial accounting and corporate finance in great depth, and choose from a broad range of specialist modules. These cover topics such as ethics, taxation, Islamic banking and information systems. During the course you’ll have the opportunity to study abroad or take a work placement for a year. 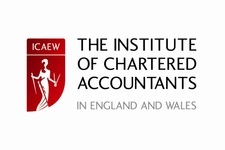 This course offers exemptions from the professional examinations of the Chartered Institute of Management Accountants (CIMA), Association of Chartered Certified Accountants (ACCA) and Institute of Chartered Accountants in England and Wales (ICAEW). 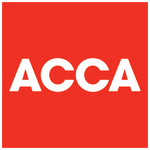 Developed in collaboration with ACCA, ICAEW and CIMA, our course gives you exemptions from professional exams, helping you qualify faster. Input from industry leaders and professional bodies adds real-world skills to academic theory, giving you the competitive edge. You’ll be taught by leading academics and innovative industry specialists with years of hands-on experience in commercial accounting. We’ll help you find a valuable work placement, developing sought-after skills either in the UK or overseas. You’ll also have the opportunity to study abroad for part of your course, developing confidence, experience and practical language skills. Around 95% of our graduates have gone on to work or further study within six months of finishing this course. Recent graduates have launched their careers in roles such as finance analyst, trainee accountant, payment plan administrator, estate accountant and accounts officer. Our graduates find opportunities with employers of all sizes, including major organisations such as PwC, Hewlett Packard, Costco, Hertfordshire County Council, the NHS, Price Bailey LLP, Mothercare, Cathedral Capital, Balfour Beatty Rail and TUI. Studying at the University of Hertfordshire gave me insight into skills that I was unaware I possessed. I am now a more confident individual and working in Deloitte Tanzania as an audit associate. Accounting and finance are thriving industries and talented graduates are always in demand. It’s a high-reward sector with excellent pay and opportunity to progress – potentially to finance director or chief executive level. Every business needs accountancy and finance expertise, meaning there’s a great range of careers open to you. UK accountancy qualifications are respected worldwide, so you may even have opportunities overseas. Besides being an accountant, you could go into banking, general management, auditing, taxation, management accounting, actuary, underwriting, consultancy, trading, retail or investment banking. Recent Hertfordshire graduates have financial and management roles at Citibank, Amazon, PriceWaterhouseCoopers, John Lewis, TUI, The Walt Disney Company and the NHS. Hands-on real-world experience makes a huge difference when it comes to landing a great graduate job. It also has a really positive impact on your studies, with many placement students achieving exceptional grades in their final year. That’s why, at Hertfordshire, we strongly encourage you to take a paid work placement as part of your degree. It can be a year-long, paid assignment between your Second Year and Third Year, or two shorter placements during the summers after your First and Second Year. If you choose the year-long placement, you won’t pay tuition fees for that academic year. While you’re working towards your degree, you’ll have the option of studying abroad for a semester – or even a year – at one of our partner institutions around the world.